Shared Education Partnership raise money for Children in Crossfire. 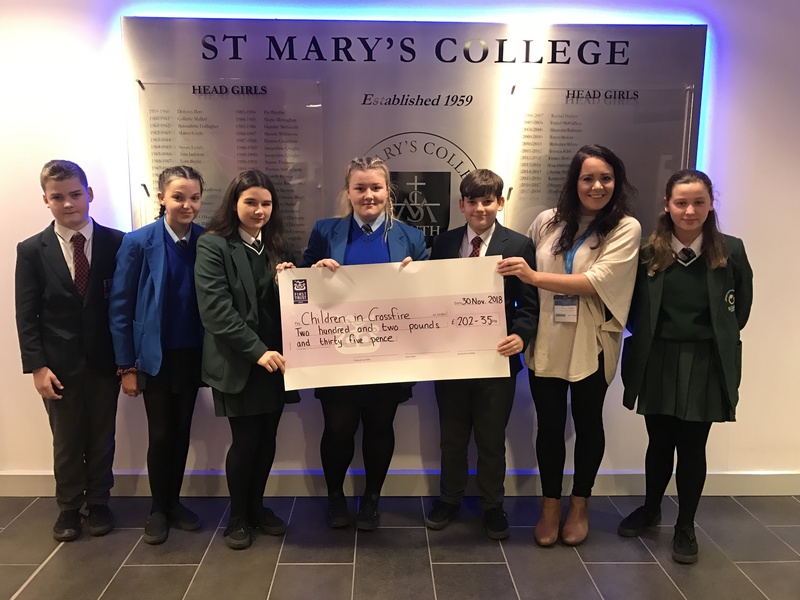 St Mary’s, St Cecilia’s and Lisneal College Year 9 Shared Education group present a cheque for £202.35. The proceeds came from Fair Trade bun sales in each of the schools.